Whole Foods Market’s global buyers and experts have announced the trends to watch in 2017. Wellness tonics, products from byproducts and purple foods are just a few top predictions according to the trend-spotters, who share more than 100 years of combined experience in sourcing products and tracking consumer preferences. Japanese Food, Beyond Sushi – Japanese-inspired eating is on the rise and it doesn’t look anything like a sushi roll. 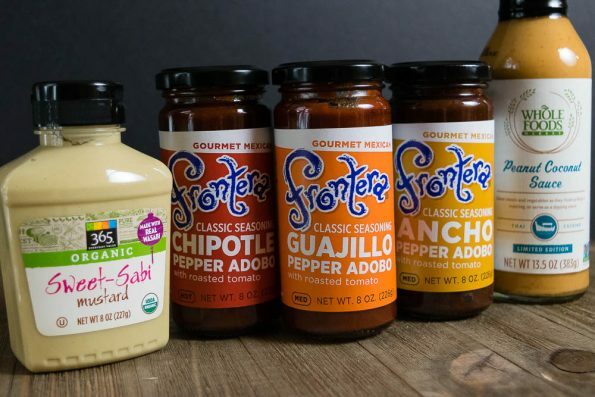 Long-celebrated condiments with roots in Japanese cuisine, like ponzu, miso, mirin, sesame oil and plum vinegar are making their way from restaurant menus to mainstream American pantries. Seaweed is a rising star as shoppers seek more varieties of the savory greens, including fresh and dried kelp, wakame, dulse, and nori, while farmhouse staples like Japanese-style pickles will continue to gain popularity.The trend will also impact breakfast and dessert, as shoppers experiment with savory breakfast bowl combinations and a growing number of mochi flavors like green tea and matcha, black sesame, pickled plum, yuzu citrus and Azuki bean. 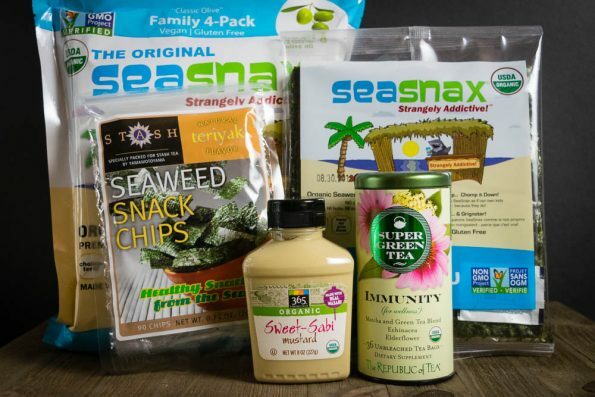 This is playing out in products like 365 Everyday Value® Sweet Sabi mustard, Republic of Tea’s new Super Green Tea Matcha blends and recipes like Coconut Mochi Cakes. This is exciting to us as we have always been fans of Japanese cuisine. It will be nice seeing Japanese-inspired products that are easy to get your hands on! Creative Condiments – From traditional global recipes to brand new ingredients, interesting condiments are taking center stage. Once rare and unfamiliar sauces and dips are showing up on menus and store shelves. Look for black sesame tahini, habanero jam, ghee, Pomegranate Molasses, black garlic purée, date syrup, plum jam with chia seeds, beet salsa, Mexican hot chocolate spreads, Sambal Oelek or Piri Piri sauce, Mina Harissa, and Frontera Adobo Sauces (Ancho, Chipotle and Guajillo varieties). We are always looking for new flavors to bring to the kitchen. If these condiments don’t encourage you to think outside of the box, nothing will! Rethinking Pasta – Today’s pasta is influenced less by Italian grandmothers and more by popular plant-based and clean-eating movements. 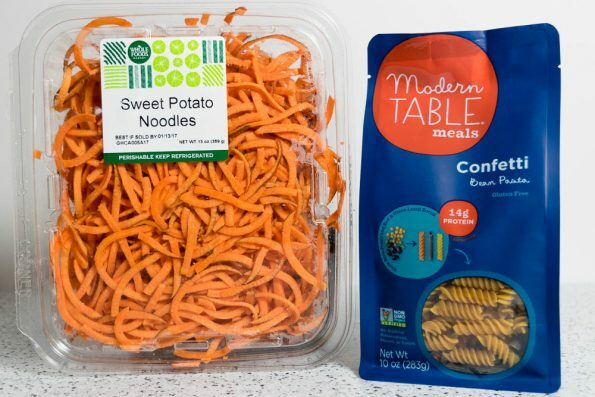 Alternative grain noodles made from quinoa, lentils, and chickpeas (which also happen to be gluten-free) are quickly becoming favorites, while grain-free options like spiralized veggies and kelp noodles are also on the rise. That said, more traditional fresh-milled and seasonal pasta is having a moment too, which means pasta is cruising into new territories with something for everyone. We have been spiralizing for a while, however, seeing all of the alternatives for our paleo and gluten-free friends is truly exciting! Purple Power – Richly colored purple foods are popping up everywhere: purple cauliflower, black rice, purple asparagus, elderberries, acai, purple sweet potatoes, purple corn, and cereal. The power of purple goes beyond the vibrant color and often indicates nutrient density and antioxidants. Back to the Roots Purple Corn Cereal, Jackson’s Honest Purple Heirloom Potato Chips, Que Pasa Purple Corn Tortilla Chips, Love Beets and Stokes Purple Sweet Potatoes are all examples of this fast-growing trend. 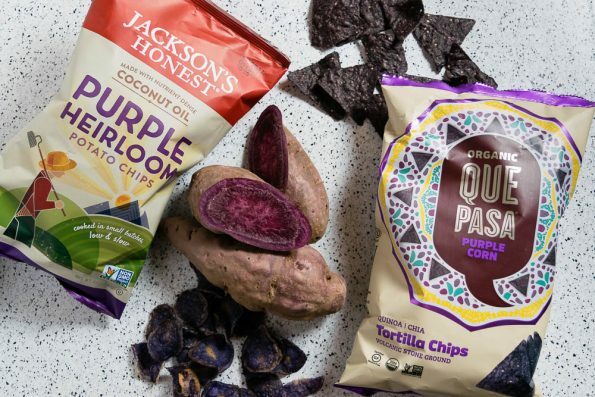 We may be totally addicted to the Jackson’s Honest Purple Heirloom Potato Chips. They were so delicious that we literally ate the whole bag in one sitting. These are just a few of the trends that 2017 holds for us foodies! What trends are you already starting to notice? Anything you love? Hate? We want to hear about it! Use the hashtag #GeekEats on Instagram to show us what is trending in your area or leave a comment below! Great new food trends! I’m glad seaweed will feature more. I agree with purple power. I have been hearing a lot of good things about purple cabbge etc. This is interesting. Love the spiralised veg that is everywhere at the moment.